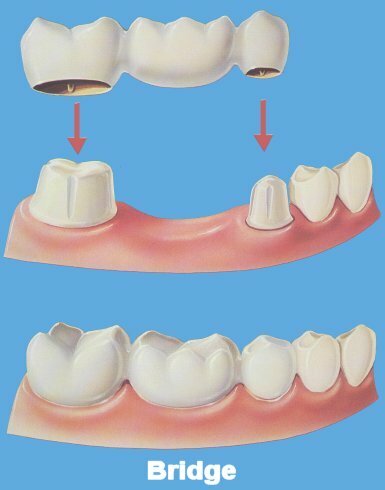 Crowns are placed on the abutment teeth to provide support for the fixed bridge . The pontic, or the artificial tooth, is that part of the bridge that replaces the lost tooth. The pontic is fused to the abutment teeth, making one complete unit!